"How can I? Because I don't have a bigger pile of money? That's a bad attitude when you make your living as a musician. Hey, you're in. You're in the club, you're on tour, you make records, you get to sing with David Bowie on his 50th birthday. What more do you want? An island?" How do I get this podcast? Do I need an iPod or iTunes? How do I subscribe through iTunes? How do I subscribe through other players? What exactly does FB.net Podcast? Is there some way to find out what is in each episode? I love some of the covers Frank Black tackles. You should play some! Where can I find some of this stuff? If you can't be convinced to podcast, you can, for the time being at least, download the podcast directly from the Episode Guide page. According to Wikipedia, Podcasting is the distribution of audio or video files, such as radio programs or music videos, over the internet using RSS syndication for listening on mobile devices and personal computers. Sounds tricky, but basically, it's an audio recording that your computer automatically keeps up to date for you every time a new one is released. A podcast is a web feed of audio or video files placed on the Internet for anyone to subscribe to. And the FrankBlack.Net feed is absolutely free, so we really do mean anyone. We may offer direct download of the podcast, but being able to subscribe and have automatically delivered new content is what distinguishes a podcast from a simple download or real-time streaming. But don't take our word for it - ask a ninja! No; in fact, most podcasts are just regular mp3 files, so as long as you can listen to mp3s, you can listen to our podcast. What distinguishes a podcast, however, is the ability to subscribe to them; this means that whenever a new episode of the podcast is available, it will be automatically downloaded onto your computer, and from there, you can move it to a portable device. You can use programs like iTunes, Juice Receiver, or many other programs. And iTunes should automatically start downloading the latest episode for you. You can get back episodes, too, just expand the podcast and click "Get". Easy! For most podcast players, you should simply be able to click "Subscribe to podcast" or "Add podcast" and enter the link highlighted above. If that doesn't work, well, check your player's documentation; Not all players support podcasting. If you are having problems, we'd like to know, so send Dean or Brian an email. Every podcast will feature a mixture of album cuts, live tracks, rarities, b-sides, cover songs, original songs from forum members, and some surprises too. The first podcast was recorded February 14, 2006, by Dean Katsiris and Brian Salvatore (or Cult of Frank and Broken Face if you prefer). Sure! You can just check out our Episode Guide. Every episode is there, and has the playlist as well as where the material is from. That's not a question, but we'll answer anyway. We agree, there are some terrific covers that Frank Black has done. See, for example, Snake Oil. The problem is that getting the rights to play some of those songs can be difficult at best, and in some cases quite expensive. However, we do hope and would love to someday be able to play music written by people other than Frank Black and particularly by artists who have heavily influenced him, so this is something we are working on diligently. Most of Frank's albums are still easy to find from his various labels. Perhaps at some point in the future, we will run an FB.Net store, but for now, that's your best bet. Oddballs, sadly, is no longer available and is growing increasingly rare besides, so if you stumble across a copy of it in your local cool record store's collection, by all means, snag it! As for live shows and rarities, many b-sides can be found in collections other than Oddballs, such as on One More Road for the Hit and Snake Oil. Others still are included as bonus tracks and on EPs. Finally, the rest simply circulate in the FB.Net community. Pop by the forum and make a request, and someone is sure to help you out - so long as it's legal! Of course! 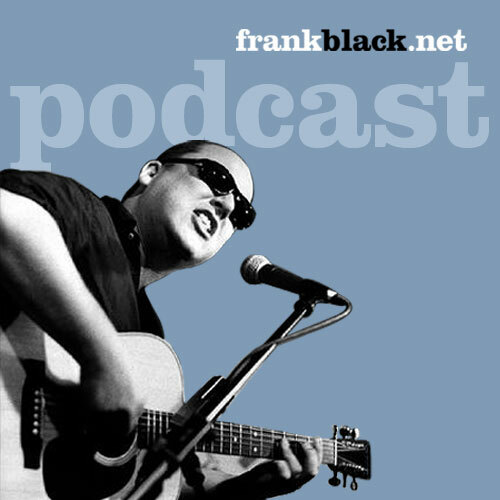 We are completely authorized by applicable license holders, so you can download and enjoy happily courtesy of Frank Black and other guests we may have on the show from time to time.